Free bets are always going to lure in players to Bitcoin betting sites. The clue (and most appealing factor) is in their name. Well, think about it. They have the word “free” in their name. Who doesn’t like free stuff? But how free are free bets and what can you use free bets on? In this article, we’ll delve a little deeper into the free bet bonus and tell you how they can be useful when you want to make Bitcoin bets at Bitcoin accepting casino and sports betting sites. So, without further ado, let’s get started by taking a look at what free bets really are. It might seem like a stupid question, but it is a valid one. What is a free bet? A free bet is simply put, a bet which you are being entitled to make by your Bitcoin betting site, and one which won’t cost you a penny. Or, at least that’s what they should be. Even free bets often come with stipulations, so whilst a free bet might not cost you anything initially, it may do in the long-run. How can that be? We’ll look at the wagering requirements and qualifying conditions that can affect free bets shortly. But first, let’s see what you can use free bets on. One type of free bet bonuses that you can claim at Bitcoin betting sites are free sports bets. Most free sports bets can only be used on specific events, but some can be used on whatever you like, it must be said. A Bitcoin sportsbook may offer you a free bet on an upcoming event if you make a specific bet on another match in the sporting event. The site may also offer you a free hand to place any free bet on any sporting event you wish, if you’ve fulfilled qualifying conditions prior to claiming it, such as depositing a specific amount of money or wagering a specific amount. Free bets on casino games is a much easier concept to grasp. These free bets tend to be more sporadic, but can be awarded to players as a loyalty bonus, simply for playing at the Bitcoin casino site, or for wagering specific amounts of money. Generally speaking, these kinds of casino game free bets comes as free spins, which can be used to play a specific slot (or a selection of specific slots) for free, with the chance to win real money. Now, we’ve already briefly mentioned qualifying conditions, which must sometimes be met before a free bet can be awarded to the player, such as depositing or wagering a specific amount. What we haven’t talked about are wagering requirements. These normally only apply to free casino bets, but it is not unheard of for them to be added to free sports bets, too. Wagering requirements dictate that a player must wager anything they win with their free bet a specific number of free times before they can withdraw their winnings. This is a customary practice, used by all major Bitcoin betting sites. Should I claim free bets? If your free bet bonus comes with massive wagering requirements, then you’ll spend most of what you have won (if not more), trying to clear the wagering requirements. That’s no fun at all, because it will leave you precious little to take home. So, if your free bets come with large wagering requirements, then you may wish to opt out of them. However, if they come with small wagering requirements, they could be a steal. 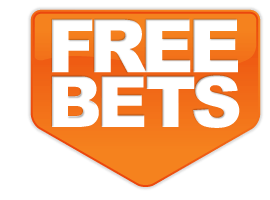 Some free bets have no wagering requirements whatsoever, in which case they should always be claimed. Just read the terms and conditions of each free bet offer you receive, to see if your Bitcoin betting site is being naughty or nice with their offers. Where can I claim free bets? Whether you wish to claim free bets on casino games or sporting events, there is only one place you should be playing at, and that place is CloudBet. CloudBet Casino has some top notch casino games for you to try, and they do host free casino bets from time to time. On the other hand, sporting bets should be made at CloudBet sportsbook. This online bookies is bang on perfect for your Bitcoin bets, and they also have free bet deals from time to time, on the latest, upcoming sporting events and fixtures. Who’d want to miss out on that?